On Tuesday 9 April 2019 Gianluca Ginoble was the guest of the Moretti di Roseto Institute. 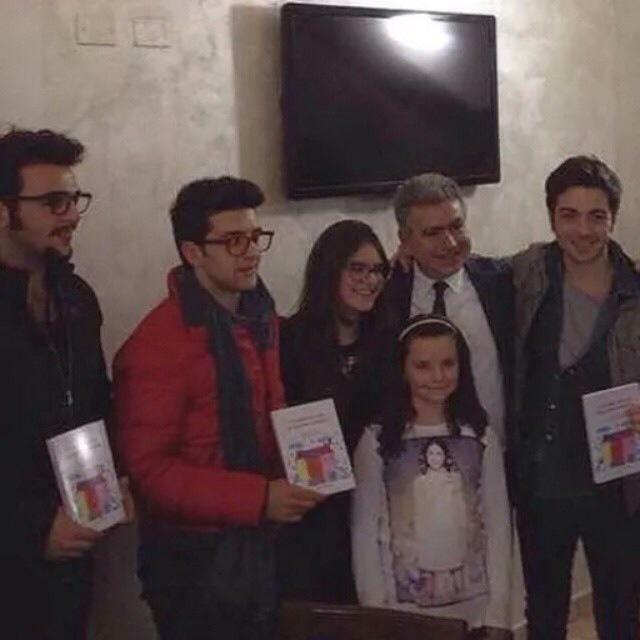 The meeting between the component of “Il Volo” and the students of the Rosetan school will give way to the scholastic institution to start a path of official recognition for the high role of representation, under the cultural and tourist profile, that Ginoble is carrying out for the local community and for the whole of Abruzzo. And here is Gianluca, during his speech with the students. Gianluca talks about his past as a student, he says that he has always been a little lazy at school and his mother got angry with his father, because he didn’t do his homework or he didn’t study much. Gianluca says that the goal to be achieved in life is to be happy, he tells the students that after the period of study life opens up and wishes the guys to always be themselves and he wishes them success. Luca Maggitti, who interviews Gianluca, explains, with a nice episode, that the greatness of the IL VOLO boys is that of being recognizable everywhere. Because so many times there are very famous idols, but only at national level, outside their nation no one knows them, while IL VOLO, is IL VOLO everywhere, in Italy, in Europe, in America, in south-America, in Japan. Therefore, he asks Gianluca if this world fame has taken away or given him something on a personal level. Gianluca replies that surely he has had so much from this kind of life, he has been able to travel the world, learn foreign languages, be a better person and be happy because he is doing what he likes to do. Gianluca believes he is a privileged person. Then, Luca Maggitti, asks Gianluca, how important is studying for him. Gianluca replies that the study is very important, but more important still to keep informed, to always maintain a form of culture, reading books, keeping always informed about the news, events, notional studies, but also the study of life events. Never stop learning. Then Gianluca is asked, what kind of music he listens to and he confirms that he listens to many different types of music and then, as already said, other times, he says he would like to buy a piano and start playing a piano he would like to write songs and also take acting lessons. Gianluca is asked how important family and territory are to him. Gianluca says that all his family believed in his talent, but in particular his grandfather, the most important person for him, and recommends that students stay close to their grandparents, who are the greatest treasure of life. The family is very important for Gianluca, there are no secrets, there is a very close relationship of love. Even belonging to a territory is very important for Gianluca, he always speaks of his land, he feels proud of his Abruzzi origins and of being a citizen of Montepagano. Luca Maggitti, points out to the students, how beautiful is the true love that Gianluca has for his land, a sincere love that can be perceived from every word, from every photo that he proudly publishes from his Abruzzo. In the end, compliments are given to Gianluca, for his way of being a young man with healthy principles of love for the family. The importance of the worldwide success of IL VOLO is emphasized to the students, as opposed to many, many idols followed by the very young, but which are unknown to the rest of the world. In addition, there is an incentive for all students to find their own way, just as Gianluca, while admitting he was not too brilliant in his study, pursued the path that was most important for him, THE MUSIC. Final congratulations, because Gianluca has remained the same simple and humble boy. The comment by Sabrina del Gaone, headmaster of the institute. Spurred on by Luca Maggitti who had the idea, I invited Gianluca Ginoble through his brother Ernesto to my school: I expected, if not a refusal, an elegant reference to a date to be defined. Instead, not only did Gianluca agree to come to school, he did it willingly (as well as early), he lent himself to unplanned interviews, repetitive photos, sudden hugs, and selfies galore… without ever losing his patience. On the contrary, he seemed to be happy with the invitation and excited about the Morettiano award we gave him. I discovered a Gianluca Ginoble that is not only a star, not only a VIP … but human, helpful, serene, incredibly tied to his family and his country. You confirm what we all know, you are a boy, sweet, sensitive, lover of his family and his land, two great values that must be taken as an example for many young people today. The citizens of Montepagano, they want to wish well to their fellow citizen, Gianluca, and his family. A few days ago, even if IL VOLO did not get the first place in Sanremo, the citizens decided to have a nice party in the square, in honor of Gianluca. Everything is ready for the big party. Gianluca Ginoble, fresh from the prestigious podium of SanRemo 2019, will return to his country Sunday evening at 6 in Montepagano who prepares him a welcome with due honors. Gianluca Ginoble is the pride of the entire city of Roseto degli Abruzzi, but above all the ancient village of the City of Roses, are ready to stretch, symbolically, a red carpet to the one who in these years, has brought up all the pride of our country. In Montepagano, the Pro Loco, the Fan Club and the BereBene bar organized the celebrations. An entire country awaits him with open arms. The appointment has been set for him with banners and more. There will really be everyone there. The preparations were hectic in the village while Gianluca was in Paris. And on his return, the party was ready in the square. The citizens were so many, it was certainly a moment of great joy for Gianluca. But let’s see some images. Gianluca with his father and his grandfather. Mayor = Good, and thank you for what you do, for Italy, because we need to keep our name high. 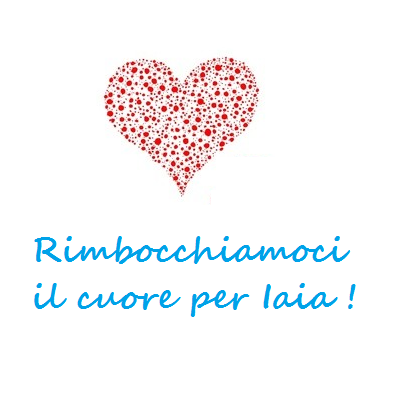 Thanks to you for what you do for Roseto, because the reflection that you have as a person on our country is great. This photo gallery is beautiful. GIANLUCA GINOBLE: THE QUIET STAR. Montepagano di Roseto degli Abruzzi, Sunday 17 February 2019. Festival of the community of Montepagano, organized to pay homage to Gianluca Ginoble and Il Volo, after the 3rd place at the 69th Sanremo Festival with the song “Musica che resta”. I had the pleasure of interviewing Gianluca Ginoble in front of so many people, outdoors, simply. Nothing screams and no unnecessarily high tones, because the important things are said better in a calm voice. An intense chat came out of it, thanks to the reflections of Gianluca who a couple of times was also moved. And in those moments when his eyes were touched with tears, talking about his family and the values that he transmitted of his beloved land of Abruzzo, the uselessness of living badly envying and hurting others. Ieri sono stata a Montepagano per la festa di bentornato a @GianGinoble, e lui ha parlato anche dell'episodio accaduto in sala stampa a Sanremo. "Alla fine certo che perdoni, che devi fare?" LM = How much did it hurt, to you three, to see that video and now, you, Ignazio and Piero, where you are with this thing, how you are living it. GG = But you must know that I, by character, I slip, all over me. (You know when it rains? The water wets you, but it slips away, that is, once dry it leaves no trace on you, it has not affected your person …… the same is the meaning of this first sentence….. even if the things said by the journalists, they are very bad, Gianluca intends that those words leave no trace of malice in him, nor even of rancor, it is like saying that he has swept away from his shoulders all the bad words.) I do not hate anyone, absolutely, because, you can also make mistakes, not in a press room in Sanremo, in a place like this, it should be a party, so it should not happen there. Everyone can make mistakes, in the end, of course forgive them, they are important people, the journalist in Sanremo and the music critic are important. The people are the ones who command at the end, (applause), the televoting is the most important thing. In the end, they can criticize, they can express their taste, because in any case they talk about musical tastes and may not even like our music. We do not have the presumption of pleasing all, absolutely, it would be stupid. One thing is, the news, one thing is criticism, one thing is the offense. And here is a beautiful article published after the party and which I translate for you. MONTEPAGANO – A starry sky, on a February evening with an unusually mild climate, a long banner and the notes of “Musica che Resta” framing the ancient village of Montepagano. This is the atmosphere with which yesterday evening a crowded square, not only of Paganesi but also of many fans arrived from different areas of Italy, has prepared to welcome the young talent from Abruzzo. A party in honor of Gianluca Ginoble who returns to the native village of Montepagano, after having won the third place of the podium at the Sanremo Festival with Il Volo. 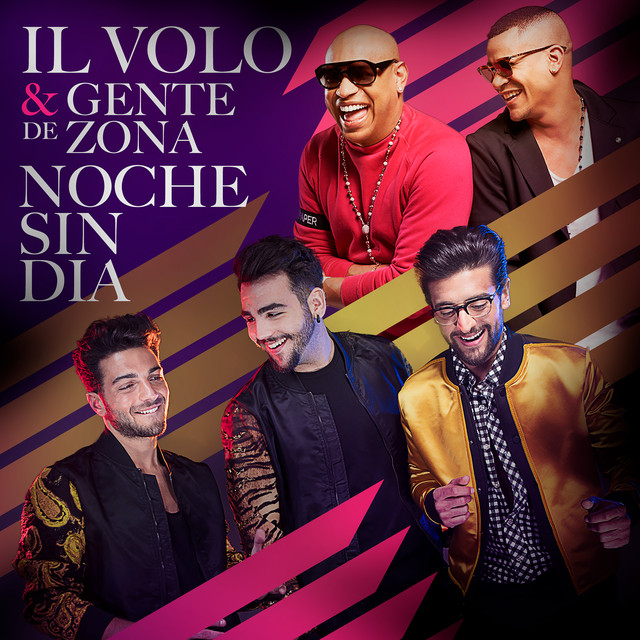 A party announced a few days ago and that is part of the tenth anniversary of IL VOLO that began to take its first steps in 2009, with the participation in the Clerici program, “Ti lascio una canzone” (“I leave you a song”). Gianluca arrives at 6.00 pm, welcomed by a thunderous applause. Peaceful and smiling he greets and opens with an interview in the square, moderated by a journalist. Gianluca appears visibly excited and calm, just as they are used to seeing him, his fellow citizens who have reserved for him a welcome, as an international star. A recognition not only to the artist but also to his two traveling companions, Ignazio Boschetto and Piero Barone, who have made Italy known throughout the world and continue to represent with grace and style. But how has Gianluca changed during these 10 years? Walking through the village and collecting people’s impressions, comes the portrait of an affable and genuine boy, attached to his roots and his family. They tell us about Gianluca as one of them, calling him “Our Gianluca”. One who when he returns to his small village stops to take coffee at the bar of the village and does not miss an opportunity to greet and exchange jokes with everyone. One who could spend his summer holidays who knows where, but who chooses to go back home and stay on the beach of Roseto, with the affections of all time; one who at happy hour prefers football matches with friends. Il Volo in their artistic career has trod the most prestigious stages, and known world-renowned artists. Following the steps of Bocelli and Pavarotti he succeeded in spreading the refinement of the bel canto also abroad and exponentially raising our country in the world. An ascent in the Olympus of music, culminated with the victory of Sanremo 2015 with a niche music genre, but which in recent years is gathering more and more acclaim and that allowed them to know not only great personalities of the music world. In November, in fact, they enchanted Trieste singing the Inno di Mameli in front of President Mattarella while, last January, they performed in front of Pope Francis during the World Youth Day in Panama. Gianluca, despite his success, has appeared as the boy of all time who, with his simple and courteous ways, was able to make the Abruzzo geographically known also to Woody Allen, through the Montepulciano d’Abruzzo. Strongly linked to these places, Gianluca never loses an opportunity to highlight its beauties anywhere in the world. The last one dates back to the Sanremo Kermesse during which he made Antonello Venditti fall in love (guest of one of the evenings), the arrosticini, in dialect “li rustell”, making him become familiar with the dialectal terms of Abruzzo, as can be seen from a funny video that is becoming popular on the web. All this love for the music and for his people, last night he came back to him, through the shining eyes of the people, the manifestations of affection and the industriousness of his countrymen, of the Pro Loco, of the Fan Club, of the bars of the village that took care of the organization of the party, setting up even a refreshment for all those present. A way to pay homage with simplicity and warmth not only the artist but also the boy of 24 years (completed last 11 February) which is the pride of his country and of an entire region. A young man aware that the road to go is still a lot and it is perhaps this humility, beyond the unquestioned talent, to make him so loved. When asked what he would suggest to the boys who want to pursue a dream, not only in music, but in every field of life, he replies that he does not feel like giving advice. But the engine that drives this young talent forward is the family. He thanks his parents but above all a person. This is his dear grandfather, Ernesto, who since childhood gave him the love for opera music. The evening draws to a close with the greetings of the mayor of Roseto, Sabatino di Girolamo, who rewards the singer with a plaque, thanking him for having made known the places of his land and makes them visible all over the world. Here comes the greetings and takes a real bath of crowd that surrounds him. Smiles and photos with everyone, with its infinite availability and courtesy. And compared to the controversy in Sanremo, on the insults received in the press room, the three singers have won not only on stage but especially in life, managing to beat offenses with the grace and good manners that are their hallmark. Soon we will see Il Volo in a series of firmcopies (CD signing events) – as the singer himself says – then in March the tour in America and Japan. On the 22nd, “Musica”, the new album, will be released, with two unpublished works and then many other projects: a summer tour that could also include a date in Abruzzo. Gianluca, you are really a treasure! You said things that were really beautiful and without any rancor. Only very intelligent and sensitive people would react just like you, to such malice. You really deserve all the love of your people. You always stay that way. Note from Jana…. Ciao a tutti! I just wanted to add the lyrics to the song, here are a few links – thank you to Penina and Leslie…. These days there is so much new news and interviews that it is impossible to keep up with everything that is being published. Our boys are already in Sanremo, there is very little missing. We already know the track list of the new CD, but now let’s focus on the piece that will be presented at Sanremo: “MUSICA CHE RESTA”. Therefore, today I propose to you a part of this beautiful interview made to Antonello Carozza, one of the authors of “MUSICA CHE RESTA” and, as you see in the photo posted below, really a young author. Now on the eve of the next Sanremo Festival, we reached Antonello Carozza, co-author of the piece “Musica che Resta” that Il Volo will present on the prestigious stage of the Ariston. Carozza himself speaks to us about the song, which is going to be great. Also for a possible Eurovision Song Contest. Antonello, very pleased to be able to host you on our website for this very welcome interview. Let’s start now with your important contribution to the next edition of the Sanremo Festival, namely the participation in the writing of the song “Musica Che Resta”, for which you collaborated with Piero Romitelli, Emilio Munda and with the great Gianna Nannini. How is this collaboration born? Piero Romitelli and I have been “Friends” for 13 years and we had already signed some things together, while Emilio Munda has known him through Piero since 2014. “Musica che Resta” was one of those songs destined for Il Volo right away. The participation of Gianna Nannini, who has managed to give the piece a personal touch, further embellishes it. Certainly the great Pasquale Mammaro is also fundamental, it is he who has transformed the intuition of the authors into reality: with stubbornness and determination he has convinced everyone that “Musica che Resta” would have been the right track for a great return. We still do not know the text of the song and clearly, to listen to it, we will have to wait for the start of the Festival. But we all know the style of Il Volo, which will interpret it. What should we expect from “Musica che Resta”? What kind of music and text? Expect the music that explodes along with their voices. It is a work that at times follows the style of “GRANDE AMORE”, but it is definitely more … “rock”. “Love look at me, we are the sun on rainy day, we are true music that remains!” … I’m sure it will be sung by many, it’s a beautiful declaration of love. Let’s go into the merits of Eurovision: you have an experience that few can boast in the world of Eurovision. From the Junior to the traditional Eurovision Song Contest you have accumulated, despite the still young age, an experience such as to have experienced this world in every aspect, from singer, producer and of course a passionate connoisseur of its dynamics. How would you see a new representation of Italy by Il Volo at Eurovision and, according to your experience, “Musica che Resta”, what impact would it have on that audience? TIZIANO FERRO = IL VOLO will included my song “A CHI MI DICE” in their new album. How cool! Take it all around the world guys. Meanwhile in Roseto degli Abruzzi, Gianluca, before leaving for Sanremo, receives his best wishes from the mayor and municipal representatives. G = Hello everyone, we are IL VOLO. P = As you know this year we participate in the 69th edition of the Sanremo Festival. But the final pride, it was this beautiful front page that they got in the weekly GENTE, is not it beautiful? The photo with the Pope and inside a beautiful article. …….. and finally the first VIDEO-DIARY of Sorrisi e Canzoni. P = Here we are, guys we arrived, the party started. G = We are here too, ready to celebrate. G = Hello everyone, we are IL VOLO, this is the first appointment with the video-diary of Sorrisi. I = A hug, hello. The interview with Carozza has put me in great excitement, I really want to hear “MUSICA CHE RESTA” !!!! And then I want to hear the other unpublished and all the new CD. And how much fun I had in 2015 to watch the video-diaries of the boys, I watched them after Sanremo, because I started to follow IL VOLO after the victory of Sanremo, but I laughed so much with those nice video-diaries and I hope to have fun with the new ones, which we will certainly post with the translation. Only a few days are left until Sanremo, I do not know about you, but I am anxious to the stars. 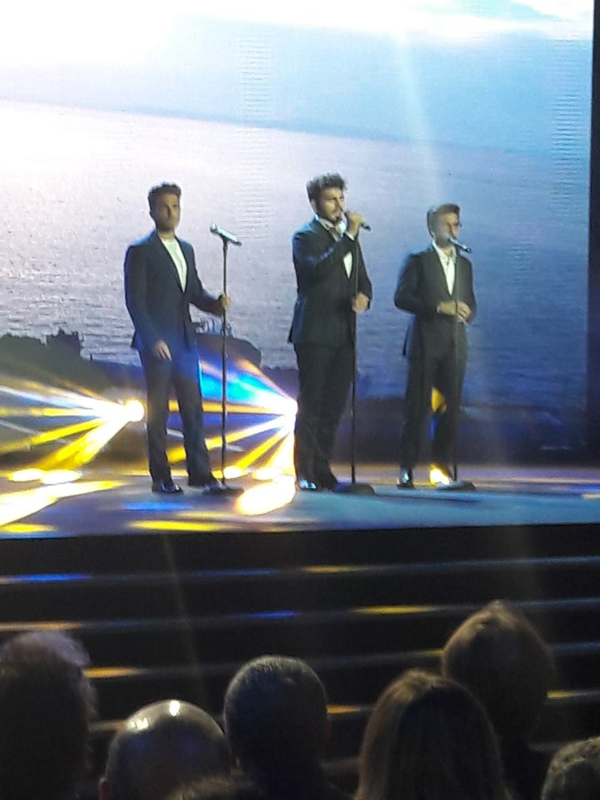 Il Volo got their January tour in Italy started off right in Roseto last night. We are definitely in for a treat! On November 30th, our guys were guests of honor at a fundraiser in Roseto degli Abruzzi. It was held at ristorante Il Parco dei Poeti in honor of a little girl named, Iaia, a fellow citizen with Gianluca of Abruzzo. Iaia is a six year old little girl diagnosed with Neuroblastoma, a malignant tumor that develops from nerve tissue. It usually occurs in infants and children. Iaia’s family is doing everything they can do help her live a wonderful life as well as fighting to find a cure. Their hope is to bring her to Memorial Sloan-Kettering Cancer Center in New York, where they are researching treatment based in immunotherapy. You can read about Iaia and how you can help on her website, here —> Iaia’s Website. As a nurse, I see my fair share of heartache, and sometimes, my job requires me to work from a strictly clinical perspective to allow me to be the support that is needed for my patient and their loved ones. But “pediatrics” and “cancer” are words that I can’t make fit into the same sentence–not ever. I have to full-heartedly support any effort and anyone that takes a stand to help fight it. Fight, on, sweet, beautiful girl! I’m praying that the world brings you to New York! Enjoy the pictures, videos and articles about the event. Tonight ‪#‎IlVolo‬ will attend as guests of honor the charity concert in Roseto degli Abruzzi dedicated to Iaia and the association ”Il Sogno di Iaia”. Tonight #IlVolo will attend as guests of honor the charity concert in Roseto degli Abruzzi dedicated to Iaia and the association ‘ ‘ Il Sogno di Iaia ‘ ‘.